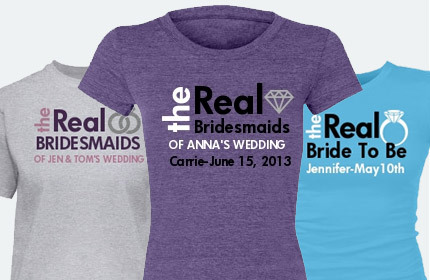 If you enjoy a certain show about housewives, then you’ll love our new The Real Bridesmaids shirts! 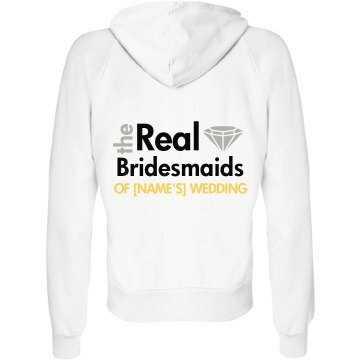 You can make each of your girls a custom bridesmaid shirt with her name on it! Of course, we have plenty of custom bride shirts, too! Change the colors, names and dates to fit your own wedding! It’s easy and fun!